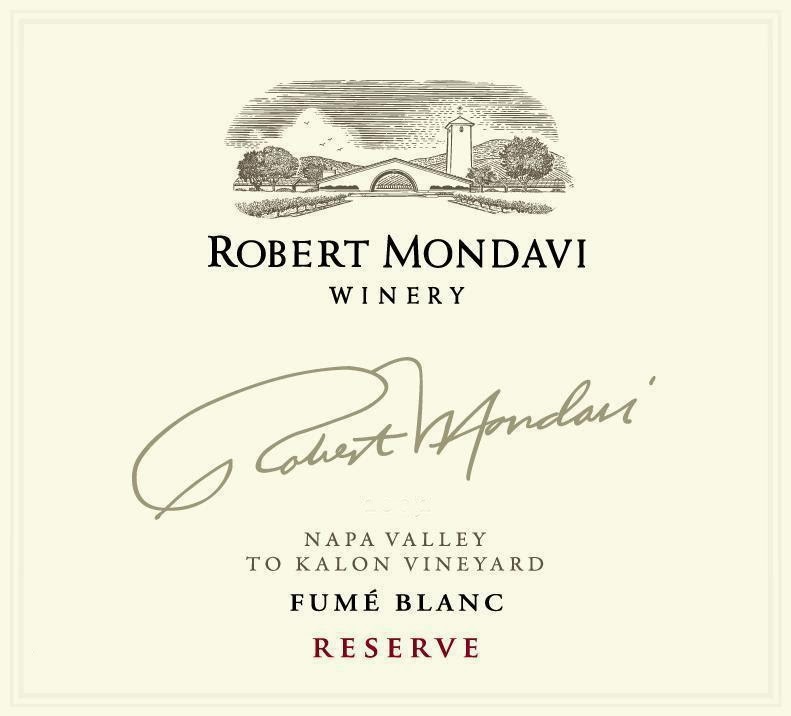 The 2011 Robert Mondavi Reserve Fumé Blanc, sourced from the winery's To-Kalon Vineyard, is world class. This is part two of my look at Sauvignon Blanc from around the world. Part one (click here) focused on France, especially the wines of the Loire Valley, such as Touraine, Sancerre and Pouilly Fumé. This second part deals with Sauvignon Blanc from California and Washington and part three will deal with Sauvignon Blanc from New Zealand, Australia, Italy, Chile and South Africa in an upcoming post. I call Sauvignon Blanc the "greatest grape." That's open to debate of course, but it's certainly my favorite for several reasons. First, it's a success around the world - there are exemplary examples from France, California, New Zealand, South Africa and other countries - and how many other varieties perform so well in so many different climates? Not only that, but there are so many different styles, ranging from tangy with tropical fruit flavors to edgier, more mineral driven versions. Naturally with so many various styles, there are all sorts of food pairings that work with Sauvignon Blanc; do you want to pair a white with shellfish, with halibut, with braised chicken - well, there's a Sauvignon Blanc that will work perfectly with these dishes. Any wonder why I call it the greatest grape? Let's move on to a few examples of Sauvignon Blanc from California and Washington. Compared to the classic styles of this variety from the Loire Valley, many Sauvignon Blancs from America's West Coast tend to offer slightly less acidity with less raciness in the finish. There are some herbal notes, such as freshly cut hay, in the aromas, but the emphasis is often focused on fruit presented in a clean style. The best examples tend to be well balanced, often with beautiful aromas of spearmint as well as yellow flowers; these are very pretty wines that are a pleasure to drink or pair with lighter foods. From Washington State, especially in the Columbia Valley, the Sauvignon Blancs often show a little more herbal character, especially in the finish. Acidity is sometimes a bit higher than in California, but generally not as lively as those from France. Based on what I tasted, Sauvignon Blanc performs well in Washington and I hope that more producers will work with the grape, which means more research, which should lead to better and better wines. Sauvignon Blanc is healthy in California, but clearly Chardonnay is still in greater demand and of course, the most celebrated wines still tend to be Cabernet Sauvignon. Thus for me, most examples of Sauvignon Blanc from California are fine introductions to the variety. Thankfully, there are a few wineries that have continued their long track record (more than three decades) of specializing in this variety, with the two most notable being Robert Mondavi in Napa Valley and Dry Creek Vineyard from Sonoma County's Dry Creek Valley. It is also nice to see a few small estates in Napa, such as Cornerstone, craft a serious Sauvignon Blanc. 2012 Chateau Ste. Michelle "Horse Heaven Vineyard" (Columbia Valley) - From the Columbia Valley in Washington State, here is one of the most attractive stylings of Sauvignon Blanc from America for less than $20. This vineyard, adjacent to the Columbia River near Paterson in south central Washington; planted in the 1970s to Sauvignon Blanc and Semillon (there is 5% Semillon included in this wine), this is a moderately warm site. Part of the wine (60%) was stainless steel fermented with the rest fermented in older French oak; to me, this was a wise decision by winemaker Bob Bertheau, as the wine offers beautiful texture with the wood notes merely adding complexity and not dominating. The aromas are quite expressive, with notes of chervil, dried hay and dried pear. Medium-bodied with lovely finesse and ideal balance, this has delicate herbal notes in the finish. Lovely food wine that I would pair with mussels or clams (there is a recipe on the winery website for braised Moroccan chicken that sounds like a fabulous match!). Enjoy this over the next 2-3 years. The suggested retail price is $15, which in my opinion makes this an excellent value. I love this wine! Now we come to two very special producers of Sauvignon Blanc in California, estates that have made this variety a focus of their portfolio. I am speaking of Dry Creek Vineyards in Sonoma County and Robert Mondavi Winery in Napa Valley. Below are notes on some of their most famous examples of Sauvignon Blanc - or do you call it Fumé Blanc? 2012 Dry Creek Vineyard Fumé Blanc (Sonoma County) - Dave Stare, founder of Dry Creek vineyard, was the first vintner to plant Sauvignon Blanc in Dry Creek Valley in the early 1970s; this wine has been produced since 1972. While this wine used to be somewhat aggressive in its herbal character, today's versions are slightly toned down, yet still offer excellent varietal character with delicate herbal notes. The 2012 has aromas of freshly cut hay, chervil and a touch of hay, is medium-bodied and has very good persistence and acidity. Think of this as a kinder, gentler style of Sauvignon Blanc, one that is well made and meant for lighter shrimp and scallop presentations; this is also very appealing on its own. Drink over the next 1-2 years. ($14, hard to argue with the price). When Robert Mondavi established his winery in Oakville, Napa Valley in 1966, he was determined to make Sauvignon Blanc one of his top priorities. He borrowed the term Fumé (meaning "smoky") from the famous Sauvignon Blanc-based wine, Pouilly Fumé; this would be his inspiration, but his version would be a product that spoke of Napa Valley. Today winemaker Genevieve Janssens continues Mr. Mondavi's vision in the Fumé Blancs she crafts. Here are notes on two of these wines. 2012 Robert Mondavi Fumé Blanc Reserve "To-Kalon Vineyard" (Napa Valley) - To-Kalon, translated from the Ancient Greek as "the highest beauty" (a fitting name, especially if you've ever seen this site! ), is situated directly behind the Robert Mondavi winery; it is one of the most beauitful and treasured vineyards in all of Napa Valley. Over half of the grapes in this wine are from a block that was planted in 1960, which many believe is the oldest planting of Sauvignon Blanc in Napa Valley. Given this sort of breeding, one would expect a wine of marvelous character and this wine delivers on every level. The Slow Wine tasting, an event featuring more than 50 Italian producers pouring their wines, will be held in Chicago on January 29 at Spiaggia (900 N. Michigan). There will be two tastings - one for the trade and media from 1-5 PM, while there is a consumer event from 6:00-8:30. This walk-around tasting is based upon the Slow Wine Guide, which honors the best producers of Italy, especially those that craft wine according to environmental sensitivity and eco-sustainable practices. There are producers from every region in Italy and they have been noted for various recognition, ranging from the best values in Italian wines to overall excellence for their type to finally the Snail award for a producer's wine that interprets the Slow Wine philosophy in categories such as territory, environment and identity. Thus anyone attending this event will have the opportunity to taste a wide array of the latest releases from Italy, ranging from Pinot Grigio and Friulano from Alto Adige and Friuli to textbook reds such as Dolcetto, Barbaresco and Barolo from Piedmont. Among the producers pouring their wines at this event will be Planeta (Sicily), Anna Maria Abbona (Piedmont), Giovanni Rosso (Piedmont), Grifalco (Basilicata), Pieropan (Veneto) and dozens more. There will also be producers from regions such as Emilia-Romagna, Lazio, Umbria and Marche, whose wines do not often receive the acclaim they deserve. The 2014 Slow Wine Guide will be available at the tasting. Note that for the consumer event, the book is included in the ticket price of $45, while at the afternoon tasting for trade and media, the guide will be available for purchase. I hope to see you on the 29th at the Slow Wine tasting!